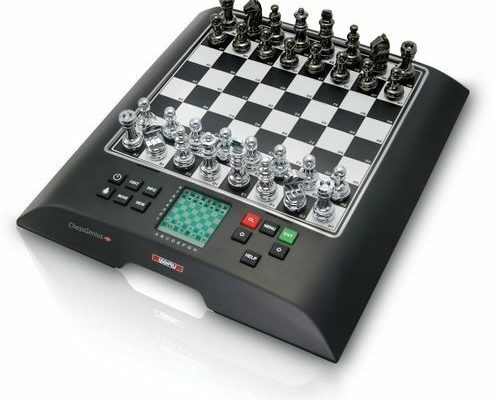 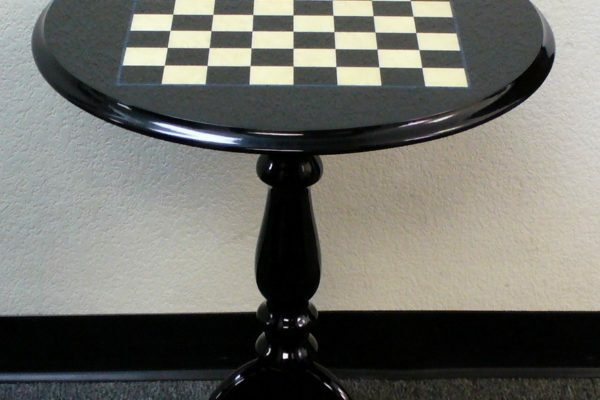 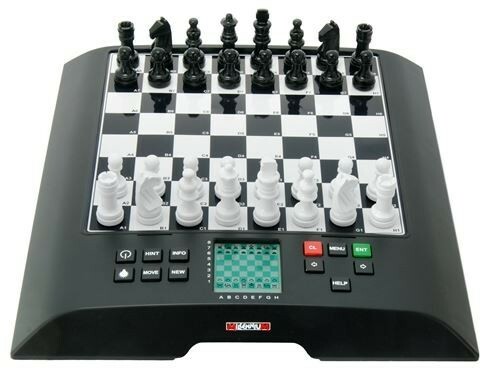 This executive size chess set is an collectors piece that can be used for both art or regular play. 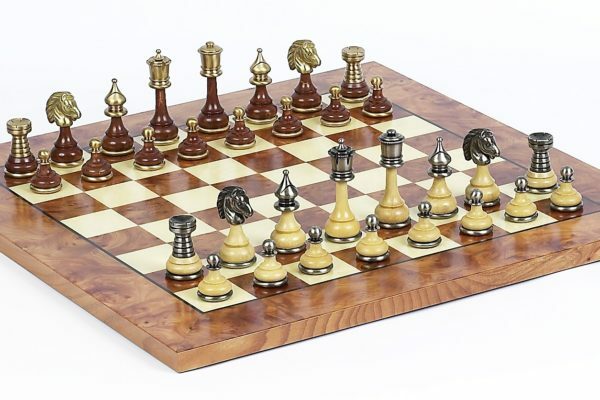 The set features beautiful spruce-tek chess pieces and a walnut chess board complete with kasparov plaque engraving. 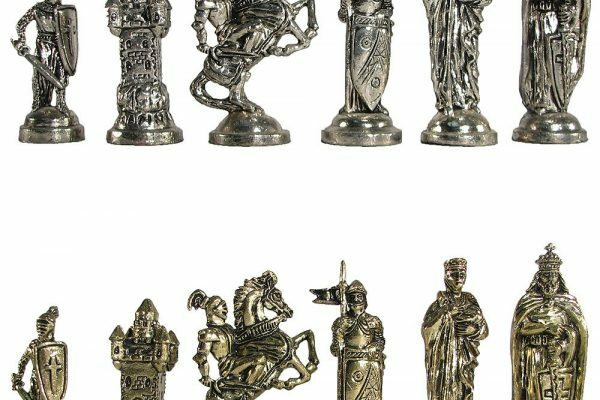 The stylish chess pieces feature detailed knights with manes made from spruce-tek resin. 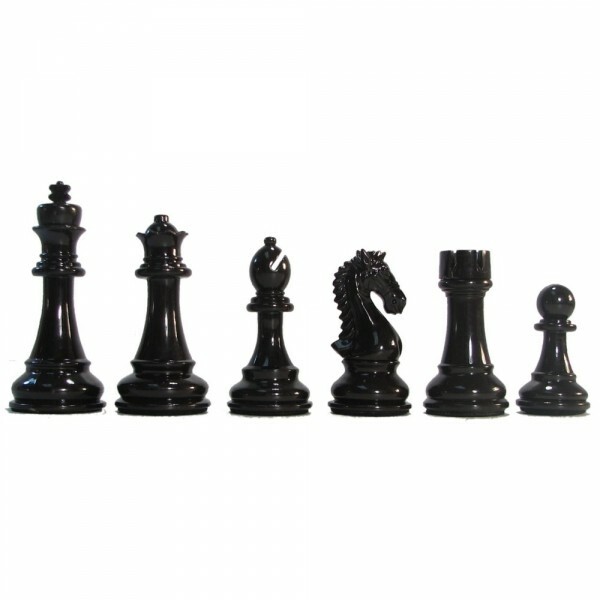 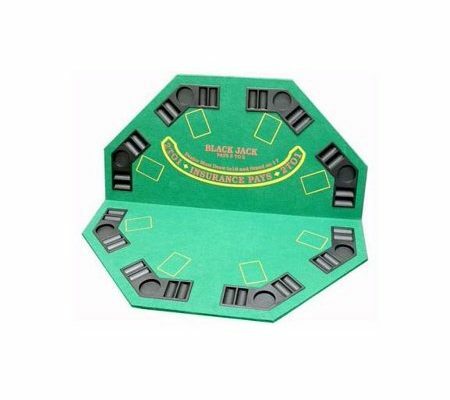 They are well weighted and have felt bottoms. 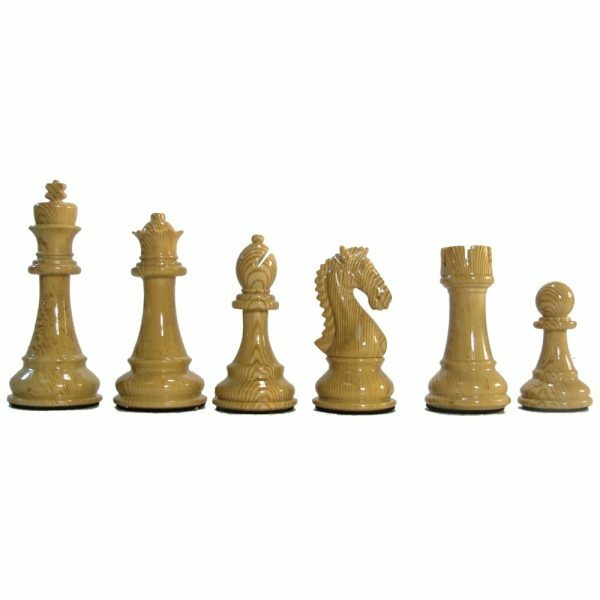 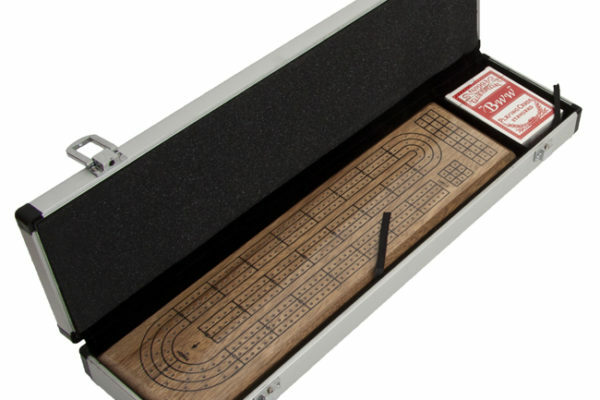 Spru-Tek is a patented resin material that simulates wood. 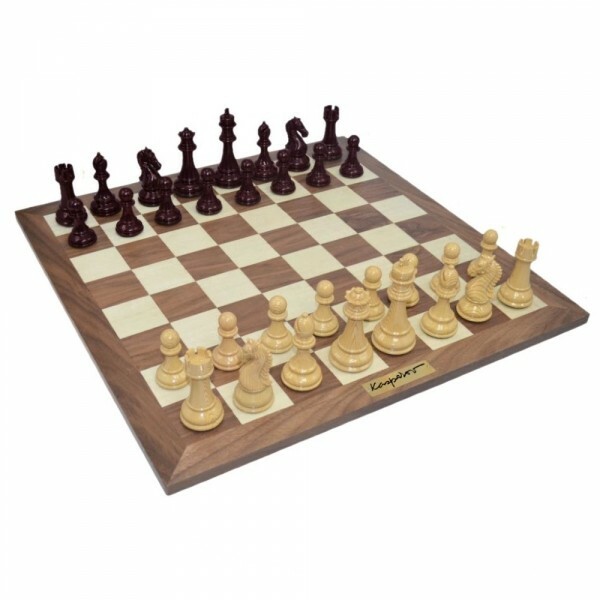 It is made to carry a similar look as the more expensive Crimson Rosewood ranging from a near black to a deep red wine color. 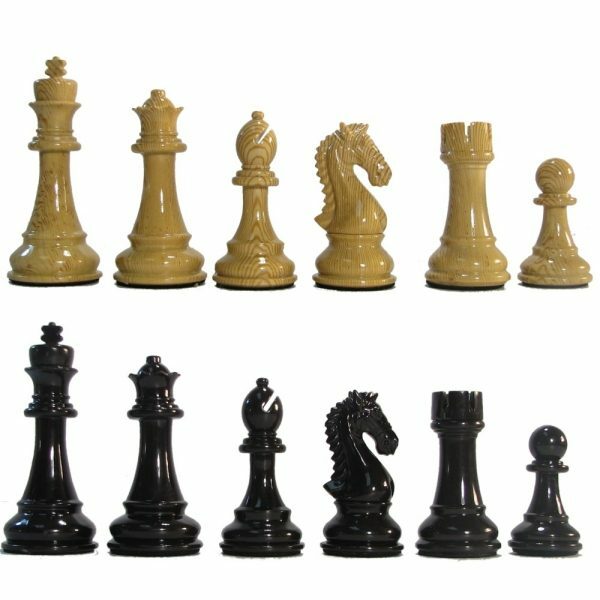 It is hard to see in some of the photos, the pieces are not actually black but have some deep red that can shine in the light. 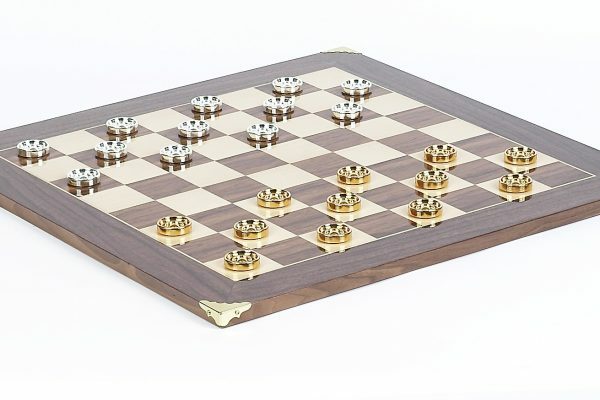 This chess set does not come with extra queens. 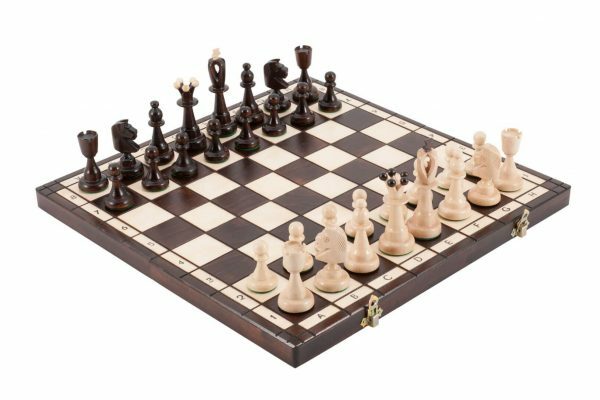 The chess board is walnut and maple with clean lines for a traditional look where the chess pieces can really stand out and shine. 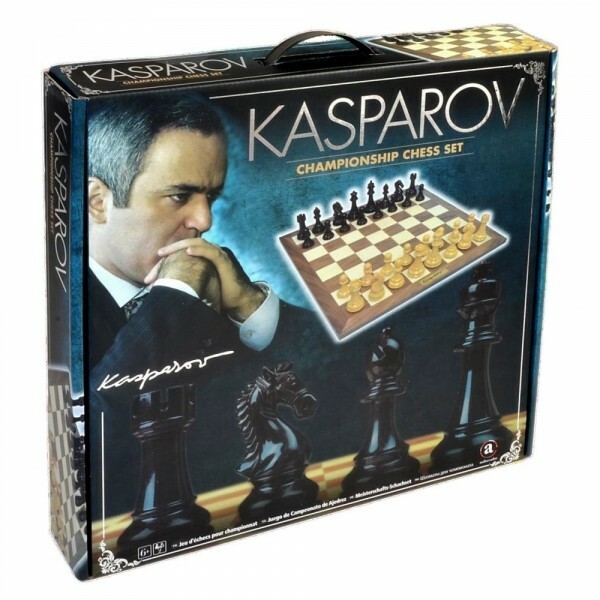 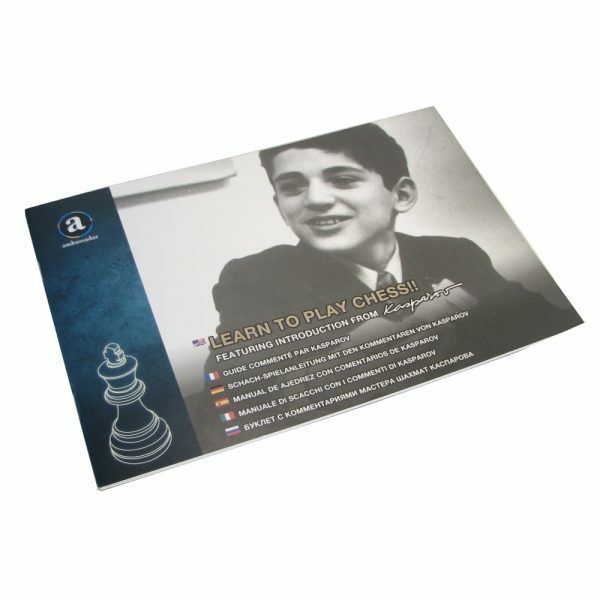 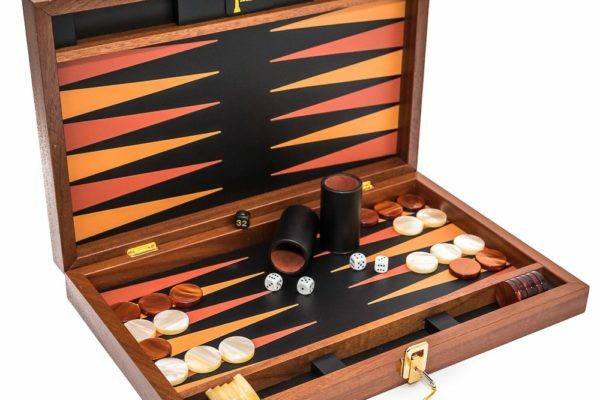 This chess set also comes with an instructional chess manual with a forward by Gary Kasparov and cardboard dress box with handle to make the set easy for storage and transportation.